Hi guys! If you hadn’t known, Nadine Brandes is one of my favorite authors. EVER. I am a part of her street team (go Ninjas!) and her Out of Time trilogy has such a special place in my heart. I love and miss every single of one her characters so much. So when she announced that she was writing a YA historical fantasy based off the Gunpowder Plot, I was so excited! A few weeks ago, a kind person on Twitter granted one of my #bookishwish’s and gave me an ARC of Fawkes, which I loved and devoured. I am so happy to be sharing with you a short excerpt from the novel plus a snippet from the audiobook! Enjoy! Synopsis: Thomas Fawkes is turning to stone, and the only cure to the Stone Plague is to join his father’s plot to assassinate the king of England. Silent wars leave the most carnage. The wars that are never declared, but are carried out in dark alleys with masks and hidden knives. Wars where color power alters the natural rhythm of 17th century London. And when the king calls for peace, no one listens until he finally calls for death. Keepers think the Igniters caused the plague. Igniters think the Keepers did. But all Thomas knows is that the Stone Plague infecting his eye is spreading. And if he doesn’t do something soon, he’ll be a lifeless statue. So when his Keeper father, Guy Fawkes, invites him to join the Gunpowder Plot—claiming it will put an end to the plague—Thomas is in. Click the link below to read an exclusive excerpt of Fawkes from the beginning chapters! It will hook you right in! Click the link below to listen to an exclusive extended sound clip from the Fawkes audiobook! It sounds so cool! I once spent four days as a sea cook in the name of book research. I’m also the author of the award-winning The Out of Time Series and my inner fangirl perks up at the mention of soul-talk, Quidditch, bookstagram, and Oreos. When I’m not busy writing novels about bold living, I’m adventuring through Middle Earth or taste-testing a new chai. I and my Auror husband are building a Tiny House on wheels. Current mission: paint the world in shalom. Check out the rest of the blog tour here! Have you read Fawkes? Do you like YA historical fantasy? Hi guys! I am a part of The Moons of Barsk Blog Tour hosted by the wonderful JeanBookNerd! For my blog tour stop, the author Lawrence M. Schoen has shared with all of us today a short, exclusive excerpt of his latest novel. If science fiction is your favorite genre, then hopefully this snippet will pique your interest! Enjoy! Years after the events of Barsk: The Elephants’ Graveyard, the lonely young outcast and physically-challenged Fant, Pizlo, is now a teenager. He still believes he hears voices from the planet’s moons, imparting secret knowledge to him alone. And so embarks on a dangerous voyage to learn the truth behind the messages. His quest will catapult him offworld for second time is his short life, and reveal things the galaxy isn’t yet ready to know. Elsewhere, Barsk’s Senator Jorl, who can speak with the dead, navigates galactic politics as Barsk’s unwelcome representative, and digs even deeper into the past than ever before to discover new truths of his own. He strode further up the beach until the edge of the island’s forest became visible through the rain. Turning slowly, he took in everything that the storm allowed. For a moment it was as if the years fell away and he stood as at the height of his professorial power, poised once more behind a lectern at the front of a classroom. Beating his trunk against one outstretched hand for emphasis he asked his questions, genuinely wanting answers but knowing in his heart they were rhetorical. “Where are all the boats? The fragments of so many journeys? Where are the bones of all the people?” He bellowed into the wind and rain with the last strength remaining to him. The weather offered no reply. The beach remained merely a beach. Ryne’s trunk drooped lax upon his chest. His upraised arm fell to his side. The years weighed heavily upon him again. It was over. He’d arrived at the last island, done with living. And then a voice spoke from behind him. He spun, swiftly, nearly falling but with a skip kept his feet. There at the forest’s edge, like an actor stepping onto a stage, a figure emerged from shadow and approached through the rain. It resolved into a person. A woman. An old woman. An Eleph. Here, on this island that existed on no map, that only the Dying could find, that made no sense when you thought about it and which no one ever thought about, here was someone walking toward him as nonchalantly as an aunt at a family gathering. And she’d called him by name. Lawrence M. Schoen holds a Ph.D. in cognitive psychology and psycholinguistics. He spent ten years as a college professor, doing research in the areas of human memory and language. This was followed by seventeen years as the director of research for a medical center in Philadelphia that provided mental health and addiction services. Evidence from both these career paths can be found in almost everything he writes. He’s also one of the world’s foremost authorities on the Klingon language, and since 1992 has championed the exploration and use of this constructed tongue and lectured throughout the world. In addition, he’s the publisher behind a speculative fiction small press, Paper Golem, aimed at showcasing up-and-coming new writers as well as providing a market for novellas. And too, he performs occasionally as a hypnotherapist specializing in authors’ issues. In 2007, he was a finalist for the John W. Campbell Award for Best New Writer. He received a Hugo Award nomination for Best Short Story in 2010 and Nebula Award nominations for Best Novella in 2013, 2014, 2015, and 2018, and for Best Novel in 2016. He’s received the Kevin O’Donnell Jr. Service to SFWA Award as well as the Coyotl Award for Best Novel. Some of his most popular writing deals with the ongoing humorous adventures of a space-faring stage hypnotist named the Amazing Conroy and his animal companion Reggie, an alien buffalito that can eat anything and farts oxygen. More serious writing can be found in his BARSK series, which uses anthropomorphic SF to explore ideas of prophecy, intolerance, political betrayal, speaking to the dead, predestination, and free will. Lawrence lives near Philadelphia with his wife, Valerie, who is neither a psychologist nor a Klingon speaker. Have you read any of the Barsk books? Do you like science fiction? Cover Reveal for Fighting Fate by Shaila Patel, the Anticipated Sequel to Soulmated, plus an Exclusive Excerpt! Hi guys! Happy Valentine’s Day and Ash Wednesday! Last year, I had the amazing chance to meet Shaila Patel at the Southeastern Young Adult Book Fest and read her wonderful YA debut romance Soulmated, which was one of the best books I have read in the Winter/Spring of 2018. As a proud member of her Street Team, I am so happy to present to you the cover for the long anticipated sequel Fighting Fate! It’s such a gorgeous cover, so check it out below! And if you want to check them out, here are links to my review of Soulmated and Shaila’s guest post! Let’s count down from 5! The cover for Fighting Fate! Marty Frye Private Eye and the Case of the Missing Action Figure & Marty Frye Private Eye and the Case of the Stolen Poodle Blog Tour: Exclusive Excerpt! Hi guys! Happy Friday! I’m about to go out of town to see the Niagara Falls (woo hoo! ), and I’m super excited! To celebrate, I am super glad that I am hosting a tour stop for the Marty Frye Blog Tour! Hope you enjoy the excerpt and check out the books! Synopsis: Broken into three short stories of poetry and petty crime, this charming chapter book will have young readers in search of a rhyme in no time. Book 1 in the Marty Frye series! Marty Frye is not your ordinary sleuth. Marty Frye is a poet detective–he makes up rhymes as he solves small crimes. When his friend Emma’s diary is missing, Marty is on the case. When Katie’s flour is nowhere to be found, Marty tracks it down. And when the brand-new Action Chuck figures mysteriously vanish from the toy store, Marty unravels the mystery. Will there ever be a case too hard for Marty to solve? Or a word too impossible to rhyme? Broken into three short stories of poetry and petty crime, this charming chapter book will have young readers in search of a rhyme in no time. Marty Frye is not your ordinary private eye. Marty Frye is “the poet detective”–he solves petty crimes by turning rhymes. In the course of a busy day, Marty tracks down his friend Emma’s lost diary, finds a box of toys missing from Mr. Lipsky’s store; and locates a bag of disappearing flour for his little sister, Katie. Although he hits some dead ends along the way, Marty Frye combines his three favorite hobbies–sleuthing, rhyming, and climbing trees–and leaves no case unsolved or unrhymed. Three short stories with clear, simple sentences make this charming easy-reader an ideal stepping-stone to longer chapter books. Laurie Keller’s quirky illustrations capture the spirit of Janet Tashjian’s tongue-in-cheek humor. Young readers will be off in search of a rhyme in no time. When Marty got home, his sister, Katie, was doing her homework. The kitchen table was filled with piles of pennies, nickels, and dimes. Katie counted out pennies as she worked. “Three plus seven equals ten,” she said. Katie threw herself over the rest of the coins. Marty was heading upstairs to play video games when their neighbor Jackie burst into the kitchen. Darlene was Jackie’s poodle. Jackie loved dressing up Darlene in sweaters and bows and tiny shoes that Marty thought were silly. He wondered if Darlene ran away because she didn’t want to be Jackie’s canine doll anymore. “Don’t break a sweat—I’ll find your pet,” Marty said. “Oh, thank you, thank you!” Jackie did a hula dance around the kitchen table that made Marty want to hide inside the cupboard. But when you’re a poet detective, you don’t say no to a new case. Marty was having second thoughts about helping Jackie. But Jackie had lived in their neighborhood for years and was a good friend. It was time to ask some tough questions. Jackie told him she was getting ready to take Darlene for a walk when she realized her poodle had suddenly disappeared. “What’s that smell?” Katie asked. Jackie took out plates for her friends. While the girls ate, Marty snooped around the house. Marty spotted something sparkly. He reached underneath the shelf then held up his discovery for Jackie to see. Marty was disappointed the leash wasn’t a clue. He’d already solved two crimes today—would he be able to solve a third? Did that make you interested? If so, please check out Janet’s books! Janet Tashjian is a middle-grade and young adult novelist who’s been writing books for children for fifteen years. Her first novel Tru Confessions was made into a critically acclaimed Disney TV movie starring Clara Bryant and Shia LaBeouf. The Gospel According to Larry is a cult favorite and Fault Line is taught in many middle and high schools. Her novels My Life As a Book, My Life As a Stuntboy, and My Life As a Cartoonist are all illustrated by her teenage son, Jake. Their collaboration continues with My Life As a Ninja coming April of 2017. Janet lives with her family in Los Angeles, enjoying her respite from the long Boston winters. When she isn’t writing, she’s rewriting. 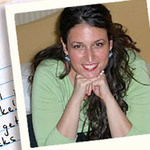 Learn more about her and all her books at JanetTashjian.com! Janet has been doing school visits for fifteen years; you can email her at spatulaproductions@mac.com for details. 3 Winners will receive a finished copy of MARTY FRYE PRIVATE EYE & THE CASE OF THE MISSING ACTION FIGURE and MARTY FRYE PRIVATE EYE AND THE CASE OF THE STOLEN POODLE, US Only. Do you have any thoughts or questions? Hi guys! I am so excited that WHEN PLANETS FALL by Abby J. Reed is available now and that I get to share the news! I am actually in the middle of writing my review for Abby’s book, so be on the lookout for that! If you haven’t yet heard about this wonderful book by Author Abby J. Reed, be sure to check out all the details below. 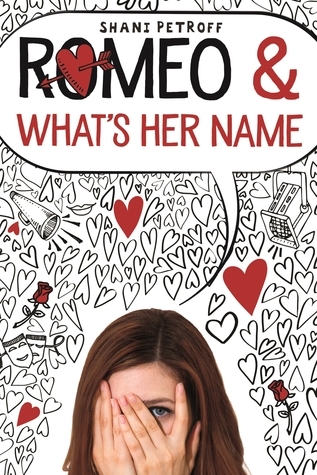 This blitz also includes a giveaway for a finished copy of the book and swag, US Only, courtesy of Abby and Rockstar Book Tours. So if you’d like a chance to win, enter in the Rafflecopter at the bottom of this post. On a planet where the only difference between three tribes is their blood color, war is on the horizon. Breaker, an amputee, wants peace for his family and home. Malani, a kidnapped POW, wants to return home. Luka wants justice for his home. All three teens come together when Breaker is given seven days to fix a wrecked enemy starship or their home, and peace, is forfeit..
Nobody was allowed to break boundary unless you were on hunting rounds and wanted a shot at the deercorns—three-horns, good meat—or on boundary duty. The land between here and the Heron Mountains in the west was technically neutral territory and belonged to no one. Too many good game trails passed through and everyone needed good protein. You’d think this meant a peace card for any who marched through the area. Then a handful of cycles back, attacks started becoming more frequent. Now, neutral territory meant open hunting season on everyone. And if you were in trouble . . . the compound wouldn’t help. I couldn’t leave him out there. I had to go over the fence. Beyond the compound’s boundary. I was going to murder that kid. The tree branches on the opposite side created a tunnel. Ravines on either side had been dug deep for a grave ditch in case of a future blood bath. Water filled them now. No need to waste time or tears while shoveling, just dump the bodies in the pre-dug ditch. Time and pain in the past saved time and pain in the future. I set my foot on the lowest rail. The wood jiggled. Bangit. I couldn’t climb over the stupid thing. I pocketed the pick, got back on my bike, reversed, and aimed it at the fence. Even though the bike ran on solatech energy, the magnetic polarity of mineral deposits in the ground kept it afloat. In theory, the bike should pass right over the fence, since the fence wasn’t quite solid, so the bike would never lose complete contact with the ground. I revved the bike. A surge of solaenergy sent me flying toward the fence. I shoved on the handles right before I hit the broken rail, bouncing and soaring right over the fence. The bike didn’t even bounce on the ground on the other side. My chest tightened a notch. I hadn’t broke boundary in eight cycles. I swear there was still a faint smell of cinnamon, though the gun smoke couldn’t have hung in the air this long. Lining the ravine were the twelve gravecrosses. Rainwater ran like thinned-out blood off the names carved into the bars. The letters were slowly being erased by weather and time, as though the people were being slowly erased from our memory until they never existed. Abby J. Reed writes young adult science fiction and fantasy novels that ask what if. She has a degree in English Writing and is drawn to characters with physical limitations due to her own neurological disorder called Chronic Migraine. Her debut novel, WHEN PLANETS FALL, will be published in April 2017 by Soul Mate Publishing. Abby lives in Colorado with her husband and two fluffy pups. If her hands aren’t on the keyboard, they are stained purple and blue with paint. 1 winner will receive a finished copy of WHEN PLANETS FALL & Swag, US Only. Don’t forget we still have a giveaway for Kym Brunner’s Flip the Bird which you can enter here! c) there’s no point because Amanda would never miss the chance to be the star of the show. Shani Petroff is a writer living in New York City. She’s the author of the “Bedeviled” series, which includes Daddy’s Little Angel, The Good, the Bad, and the Ugly Dress, Careful What You Wish For, and Love Struck, and is the co-author of the “Destined” series which includes Ash and Ultraviolet. She also writes for television news programs and several other venues. When she’s not locked in her apartment typing away, she spends a whole lot of time on books, boys, TV, daydreaming, and shopping online. 26,008 views from amazing people!